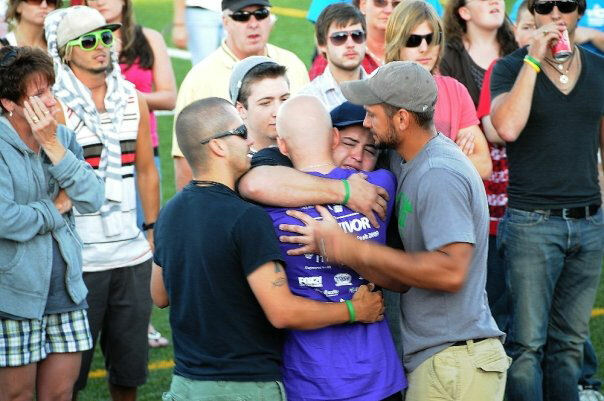 A family that is battling cancer should never run out of hope. 1Hope for Cancer is an organization that helps people stay strong while dealing with cancer. The proceeds raised by 1Hope for Cancer will be distributed three different ways. The first thirty percent of the profits will go towards St. Jude Children’s Research Hospital, a 501(c) (3) not-for-profit organization. These proceeds will go specifically towards cancer research, new treatments, as well as new and improved cancer studies, helping to aid doctors in the fight against cancer. The mission of St. Jude Children’s Research Hospital is to advance cures, and means of prevention for pediatric catastrophic diseases through research and treatment. The next forty percent of proceeds will benefit current patients diagnosed with any form of cancer. These funds will help aid families and patients that are struggling with the heavy burden of treatment not covered by insurance. The HealthWell Foundation is a 501(c)(3) non-profit organization established in 2003 that is committed to addressing the needs of individuals with insurance who cannot afford their copayments, coinsurance, and premiums for important medical treatments. Their mission is to reduce barriers to care for underinsured patients with chronic and life-altering cancers. Their vision is to ensure that no patient, adult or child, goes without essential medications because they cannot afford them. Since 2004, they have helped more than 150,000 patients afford their medical treatments and lead healthier, more fulfilling and productive lives. Twenty-five present of the proceeds will be put in a special fund that will be distributed at the end of the year to a single child or young adult currently battling cancer. As a gift from 1Hope for Cancer This patient, randomly selected by 1Hope for Cancer staff, will receive this gift to be used for the purpose of fulfilling wish or dream of their choice. The remaining five percent of proceeds will be applied to 1Hope for Cancer operations in the form of website maintenance, promotion of upcoming events, labor expense, etc.. The 1Hope for Cancer non-profit organization feels it is critical to show support by demonstrating that we aren’t in the fight for ourselves but to simply have the largest impact against cancer, attract the most awareness to our cause, and for those patients be their 1Hope for Cancer.